As the holidays approach, individuals in recovery need to have a plan to stay sober. Not only are holiday parties rife with temptations for addicts as alcohol flows at parties and gatherings with co-workers, friends, and family, but they also may put you in contact with people who enable your addiction or who increase your stress levels and tempt you to drink. Being proactive in your recovery includes managing holiday celebrations in a healthy manner and finding new ways to enjoy them without alcohol or other substances. One of the best ways to maintain your sobriety throughout the holiday season is to host your own party. Recently sober people especially find that hosting a party and controlling the guest list and refreshments makes it easier to support their recovery. As the host, you have the right to make it clear that your party will be free of alcohol and drugs, and you can communicate to your guests that no substances will be welcome in your home. Your sober holiday party should include guests that will support your sobriety and your wishes to hold a party free of temptation. Do not invite anyone who you fear will put your recovery in jeopardy. Your closest friends, family members, and co-workers will understand your decision and support your recovery. It’s also a good idea to invite new friends who are in recovery themselves; they will appreciate being invited to a party that helps them stay sober, and you can support one another throughout the holiday season. You may equate holiday parties with indulging in alcohol. Now that you are on the road to recovery, you need to change your mindset about holiday gatherings by emphasizing the food. You’ll enjoy yourself and feel like you are splurging, and you probably won’t miss the alcohol as much when you eat rich, decadent foods that are perfect for holiday entertaining. You’ll also spend time cooking and baking, which will help you keep your mind off alcohol and other temptations throughout the holidays. Some people find that cooking and baking with others is a wonderful way to spend the holidays. You can invite friends over to test recipes and share cooking tips and skills. 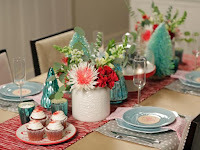 Cooking parties will give you something to look forward to, and you will have fun spending time with friends and relaxing in the kitchen while making delicious food to share. If you like to bake more than cook, host a cookie swap. You can ask friends to bake cookies ahead of time and bring enough to share with everyone, or you can make a day of it and have each friend bring ingredients to make one type of cookie. At the end of the evening, everyone will have freshly baked cookies to take home, and everyone’s holiday baking will be complete. When you were a child, you likely looked forward to holiday gatherings because it was a time spent with family. Get back to those happy times by focusing on family this holiday season. Make your Thanksgiving meal together and work with younger members of your family to make Thanksgiving crafts, such as tracing their hands to make turkey place cards for the holiday meal. Or, create a chain of leaves and have everyone write one thing for which they are thankful and then read the leaves before the big meal. If sports are more your speed, plan to play a game of family flag football in the yard while the turkey cooks. You also can focus on family by planning family shopping trips, gift-wrapping parties, and decorating days. Imagine how fun it would be to make hot chocolate, load everyone into family vehicles, and tag a Christmas tree together. Or, plan a day to make ornaments featuring family photos. The possibilities are endless when you get creative and decide to establish new traditions that will support your recovery this holiday season. You can stay sober throughout the holiday season if you are proactive in avoiding alcohol and other temptations. Host a sober holiday party, indulge in food, and focus on family to stay in recovery.